Panama, at latitude 8.9N, is about as far away from the icy poles as you can get. Yet a new theory suggests it was crucial to starting the Quaternary ice ages 2.6 million years ago (Ma), Paul Rodgers reports in Forbes. During the last glacial maximum, between 20,000 and 26,000 years ago, ice covered up to 30 per cent of the planet, and the northern ice sheet extended as far south as Manhattan in North America and Cardiff in Britain. Some of the ice sheets were up to 3km thick. The Quaternary Period covers several similar episodes of glaciation, eight of them in the last 750,000 years alone. Dr Thomas Stevens of Royal Holloway, University of London, and his colleagues came up with their theory of Panama’s role in promoting glaciation while looking at wind-blown dust deposited between six million and two and a half million years ago in northern China, which form a record of temperature and precipitation. They had expected increased rainfall to correspond to higher temperatures, but discovered the opposite. Colder temperatures were correlated with higher precipitation. Their proposed explanation is elegant. As North and South America joined at the isthmus of Panama between 5MA and 3Ma, the global climate changed dramatically. Water evaporating in the Caribbean and tropical Atlantic was carried by the trade winds across to the Pacific, where it fell as rain and diluted the salt concentration. As a result the Pacific became 3 parts per thousand less salty than the Atlantic, a difference that persists to this day. Ocean currents, notably the North Pacific Gyre, carried the fresher water, which freezes at higher temperatures, towards the poles. “This freshening drove enhanced sea ice formation on the surface North Pacific,” say the researchers in their paper for Nature Scientific Reports. Computer modeling indicates that the growth in sea ice would strengthen the high pressure centre over the North Pacific, which in turn would encourage Southerly and Southeasterly winds and intensify East Asian Summer Monsoon rainfall. 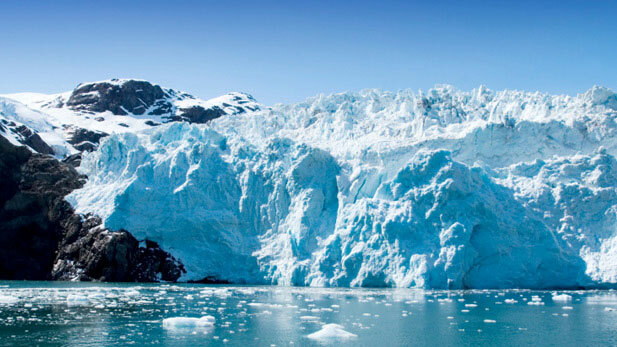 “This previously overlooked positive feedback was initiated in the run up to the onset of extensive Northern Hemisphere glaciation,” said the authors.